Reindeers won’t be the only ones lighting up the night sky this holiday season. China Glaze® launches Happy HoliGlaze, a party-perfect collection sure to get the celebrations started off right. These twist-on-traditional shades and gift sets make perfect party favors, stocking stuffers and gifts (shhh, we won’t tell if the gift is for yourself!). 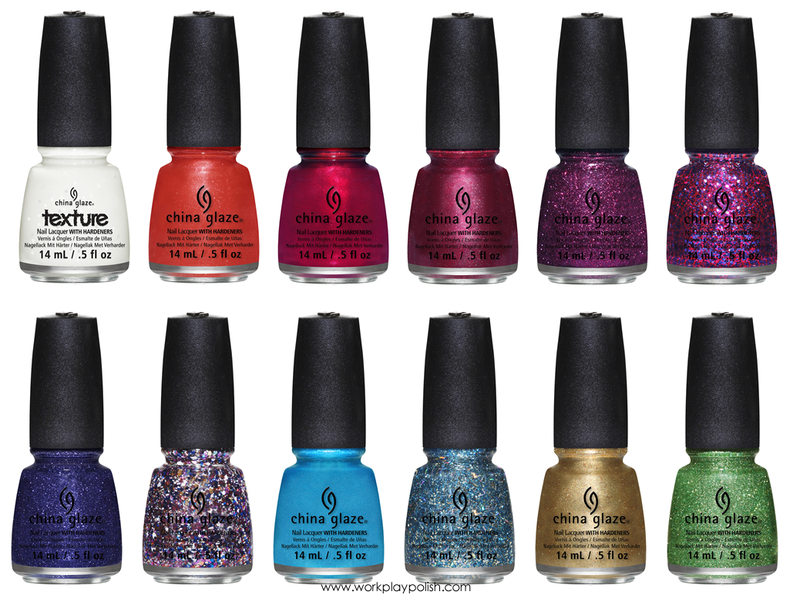 The China Glaze® Happy HoliGlaze collection features 12 new polishes and one color traveling top coat. The China Glaze® Happy HoliGlaze collection will be available in November 2013 at fine salons and beauty supply stores nationwide. Individual shades have an SRP of $7.50. The collection will be available in 24- and 36-piece counter displays, a 36-piece rack and 36-piece prepack in addition to the gift sets.